We announced our vision for the Google Assistant just two years ago at I/O, and since then, we’ve been making fast progress in bringing the Assistant to more people around the world to help them get things done. 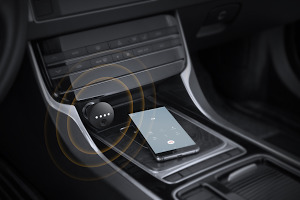 As of today, the Google Assistant is available on more than 500 million devices, it works with over 5,000 connected home devices, it’s available in cars from more than 40 brands, and it’s built right into the latest devices, from the Active Edge in the Pixel 2 to a dedicated Assistant key in the LG G7 ThinQ. Plus, it’ll be available in more than 30 languages and 80 countries by the end of the year. Today at I/O, we’re sharing our vision for the next phase of the Google Assistant, as we make it more naturally conversational, visually assistive, and helpful in getting things done. Language is incredibly complex—people ask about something as simple as the weather in over 10,000 ways (our favorite: “Will it be cats and dogs today?”). We’ve dramatically improved our language understanding so you can speak naturally to your Google Assistant and it will know what you mean. One of the most important parts of the Assistant is its voice—it needs to feel both personal and natural. Up until now, creating a new voice took hundreds of hours in a recording studio. But with advancements in AI and WaveNet technology from DeepMind, we can now create new voices in just a few weeks and are able to capture subtleties like pitch, pace, and all the pauses that convey meaning, so that voices are natural-sounding and unique. 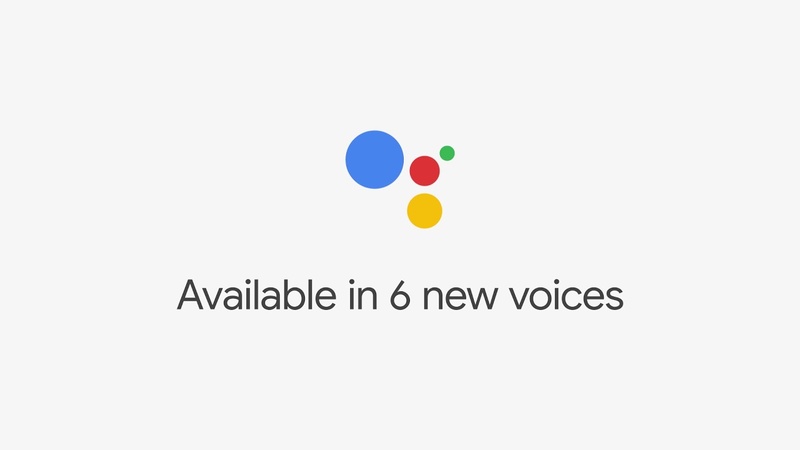 Starting today, you can choose from six new voices for your Google Assistant. And John Legend will lend his melodic tones to the Assistant later this year—who wouldn’t want him wishing you A Good Night? Soon you’ll be able to have a natural back-and-forth conversation without repeating “Hey Google” for each follow-up request. The Assistant will be able to understand when you’re talking to it versus someone else, and will respond accordingly. This feature has been one of our top requests and you’ll be able to turn on Continued Conversation in the coming weeks. Assistant features for families—powered by Family Link—provides free family-friendly games, activities, and stories from content partners like Disney. (Families have listened to over 130,000 hours of children’s stories in the last two months alone.) To help you give your little ones some positive reinforcement when they ask nicely, later this year we’ll introduce Pretty Please, so that the Assistant can understand and encourage polite conversation. Earlier this year we launched six ready-made Routines to help you get multiple things done with a single command. Starting today, we’re rolling out Custom Routines, which allow you to create your own Routine with any of the Google Assistant’s one million Actions, and start your routine with a phrase that feels best for you. For example, you can create a Custom Routine for family dinner, and kick it off by saying "Hey Google, dinner's ready" and the Assistant can turn on your favorite music, turn off the TV, and broadcast “dinner time!” to everyone in the house. 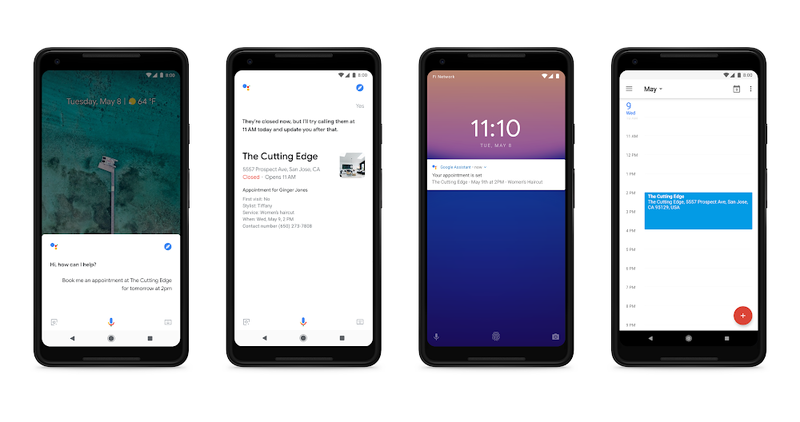 Later this summer, you’ll be able to schedule Routines for a specific day or time either using the Assistant app or through the Google Clock app for Android. So far the Assistant has been centered on the verbal conversation you can have with Google, but now we’re bringing the simplicity of voice together with a rich visual experience. Smart Displays are a new category of devices built for the home that let you quickly glance at responses provided by the Google Assistant. You can access the Assistant hands-free by voice, but you can also tap and swipe the screen when that’s easier. You can follow along with a recipe, control your smart home, watch live TV on YouTube TV, and make video calls with Google Duo. Smart Displays come integrated with all your favorite Google services like Calendar, Maps, and YouTube. The first Smart Displays will be available for purchase starting in July. We’re also redesigning the Assistant experience on the screen that’s with us all the time—our phones. The Assistant will give you a quick snapshot of your day, with suggestions based on the time of day, location and recent interactions with the Assistant. To provide a summary of tasks and list items, we’re integrating popular notes and lists services from Google Keep, Any.do, Todoist and many more. We’re also bringing a new food pick-up and delivery experience to the Assistant that isn’t constrained by a chat-style interface, so you can order your favorites from Starbucks, Doordash and Applebee’s, in addition to existing partners like Dunkin’ Donuts and Domino’s. The new visual design will be available in the Google Assistant app later this year. The Assistant is coming to navigation in Google Maps later this summer, with a low visual profile so you can keep your hands on the wheel and your eyes on the road. You'll be able to send text messages, play music and podcasts, and get information without leaving the navigation screen. For example, say “Hey Google, read me my messages” and you can get a summary of unread texts with the option to respond by voice. The Google Assistant helps you save time by taking tasks off your plate, whether that’s ordering a coffee or buying movie tickets online. But sometimes you need to pick up the phone and call a business to get something done. This summer, we’ll start testing a new capability within the Google Assistant to help you make restaurant reservations, schedule hair salon appointments, and get holiday hours. Just provide the date and time, and your Assistant will call the business to coordinate for you. If a business uses an online booking service, the Assistant will book through that. And if not, the Assistant will call the business on your behalf. 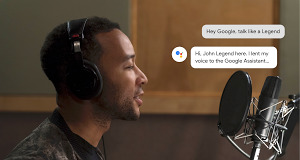 Powered by a new technology we call Google Duplex, the Assistant can understand complex sentences, fast speech, and long remarks, so it can respond naturally in a phone conversation. Even though the calls will sound very natural, the Assistant will be clear about the intent of the call so businesses understand the context. Once your reservation or appointment is booked, the Assistant will add a calendar reminder for your appointment and allow you to cancel if needed. This technology will be helpful to the many small businesses that rely on phone calls to book appointments today—our research shows that 60 percent of small businesses who rely on customer bookings don’t have an online booking system. And many people simply don't reserve with businesses that don't take online bookings. With Google Duplex, businesses can operate as they always have; and people can easily book with them through the Google Assistant. We’re just getting started, but we’re excited for how Google Duplex can connect small businesses with Google Assistant users. We’re bringing Google Home and Google Home Mini to seven new countries later this year: Denmark, Korea, Mexico, the Netherlands, Norway, Spain and Sweden. We’re also launching the Google Assistant in Spanish for Android Oreo (Go edition) phones soon. And to make it easier for you to have conversations with others, wherever you are, Google Translate will soon be available on all headphones optimized for the Google Assistant. We’re excited to give you a preview of some of the latest developments we’re bringing to the Google Assistant across your devices. You can start trying some of these today in the Google Assistant app for Android and iOS. And your smart speaker devices like the Google Home will be automatically updated with the latest features once they’re available. We have lots more in store this year, stay tuned!